George Baldwin Selden was a bright young patent attorney who lived in Rochester, New York. 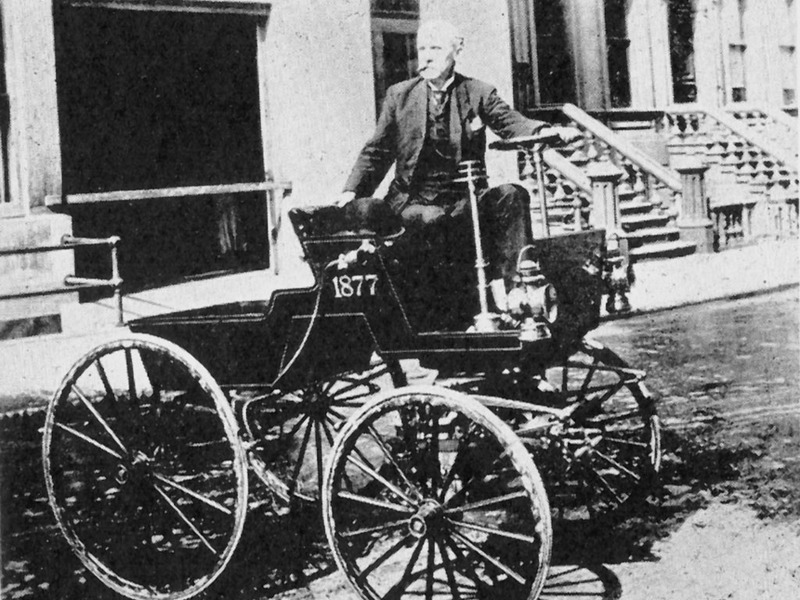 In 1879 he applied for a patent of his gasoline road locomotive, later called the automobile, and purposely delayed its issue for more than 15 years. The first revealing incident of the complete skepticism of Amer­ica concerning the future of motor transportation appears in a reported failure of George B. Selden to interest capital in his project. Selden was seeking to develop the patent on a projected gasoline-motor vehicle. Those who have any accurate idea of the Selden patent business today probably do not comprise one-twentieth of one per cent. Yet that patent and the suits per­taining to it which dragged through the courts for years were the most important news of motordom for a decade. Because it was technical, the lay public took little interest. Selden applied for his patent in 1879. It was refused because the papers were not properly drawn. He kept the application alive for sixteen years by various methods, and the patent was issued to him in 1895. If it had been all that he claimed for it, Selden and his heirs would have had a monopoly of the entire automobile business of the country. Think what that might have meant in cramping the development of automobiles in America. But it was the very extent of Selden’s vision that led to failure. Having obtained the patent, he needed money to build the car. He himself was not a mechanic but an attorney interested in mechanics. The patent was based upon an assembly of ideas and drawings from a motor built by George B. Brayton, an English­man living in Boston, supplemented with Selden’s own ideas of a transmission. 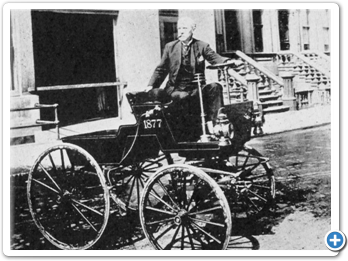 It appeared sufficiently original for the United States Government to grant the patent even after Duryea, Ford and Haynes had built gas-motor vehicles that would run, and while Selden had no such vehicle. Then came the incident reveal­ing American skepticism as to the possibilities of automobiles in general. Seeking funds with which to build his first car, Selden finally found a man with five thousand dollars available. In his enthu­siasm he told the man that they would live to see more carriages run by motor on the main street of Rochester than were then drawn by horses. That was too much for the prospect. He de­clared Selden. crazy, and walked out. Ten more years passed before Selden could get the machine built, and then it ran only enough to appear in evidence in the patent suit. Those were the years in which the popular cry, “Get a Horse!” greeted almost every automobile which appeared on the roads. In the meantime the patent had been assigned to the Electric Vehicle Company of New Jersey, dominated by William C. Whitney and Thomas F. Ryan.